There are certain shows that change one’s sense of art. Surface Work is one of them. Spread across two sites, it is nothing less than an anthology of abstract painting spanning an entire century, from early constructivism to post-digital sampling, in which every work holds its own and every work is by a woman. This is a rare and historic event. It is also clear proof, if more were needed, of the institutional bias of the art world. So many of these women’s names are unfamiliar, so many have been stinted, forgotten or ignored, that it is quite possible to walk through rooms full of magnificent works without having heard of their makers. 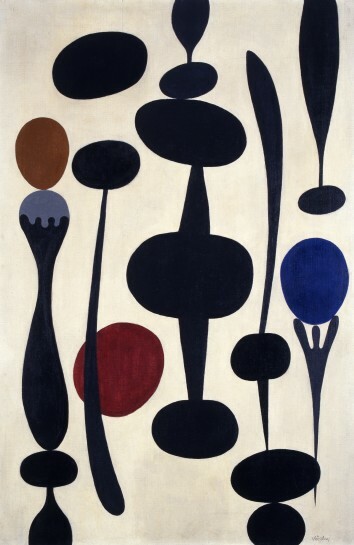 Abstract painting, roughly as represented in British museums, tends to run from Kandinsky, Malevich and Mondrian to Pollock, Rothko and Barnett Newman, through to Richard Diebenkorn, Cy Twombly and – if you’re very lucky – Joan Mitchell, an artist easily as great as Twombly yet appallingly neglected in this country. Bridget Riley and the ever-visible Yayoi Kusama are eminent exceptions too, and last year’s Russian Revolution shows brought us the amazons of the avant garde as never before. But still this show is guaranteed to surprise with its surge of artistic revelations.